Shows, camps and lessons have taken me to a number of different riding schools, and there are definitely good ones, bad ones, and ugly ones. A shocking number of them are bad, considering that the kids enrolling in them are the future of horse sport; but thankfully there are a lot of good ones out there. I’ve been blessed to have private lessons on my own horses for the past six years, having only learnt the basics during two years in a riding school, but I’ve spent some time teaching in one. And so without further ado, my five least favourite things that some riding schools do – along with alternatives, utilised by the better schools. 1. Jodhpurs compulsory. Horse riding has a reputation for being expensive, and certainly the upkeep of a horse could feed a small family, but just taking lessons needn’t come at an exorbitant price. However, any parent who has to fork out at least $10 a lesson once or twice a week, and has probably already paid in excess of $50 for a riding helmet (compulsory by law, and rightly so), is going to shy back at having to spend even more cash on the various trappings of riding gear. I spend three or four hours in the saddle every day, and I can successfully conclude that jeans are much more comfortable than jodhpurs. Jodhs are more expensive and for touch-sensitive kids, unbearably uncomfortable; or for the occasional well-rounded figure, tight jodhs can be embarrassing enough to turn them off horse riding. There’s also boots, chaps, and gloves; gloves are only necessary in extreme cold weather or on specific horses with bad pulling habits, in which case the horse should be corrected, not the rider’s attire; and boots and chaps are undoubtedly safer and more comfortable, but you can pay about $100 for a decent pair. Alternative: Helmets should invariably be worn by riders of any skill level, but boots, chaps, gloves and jodhs shouldn’t be compulsory. If they are, it’s probably a bid to look smart on the school manager’s part. Any closed shoe with a low heel, three-point helmet and pair of long pants complete a safe riding outfit. 2. Running martingales on all the horses, no matter what their training or way of going. Why, I hear you ask, make all the horses wear this expensive, annoyingly difficult to clean and put on, and occasionally even harmful piece of tack? Because the neck strap element of the martingale is a handy thing for unbalanced riders to cling to. Don’t get me wrong – I have nothing against martingales, nor against the desire to prevent a beginner from balancing himself on his horse’s mouth via the reins. Martingales have an excellent role to play in the schooling of some horses. However, that relaxed old schoolie who goes in a good frame all the time has no business wearing a martingale. 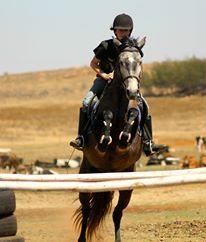 Riders should learn to balance with their bodies, not their hands – whether that’s on the reins or neck strap/martingale. The trouble with this technique is that the martingale becomes a sort of security blanket. Should anything go wrong, the rider will automatically grab onto the martingale, effectively rendering his hands useless for rein aids. Not a disaster in the case of a rearing horse or merely a panicky rider, but should a horse bolt with him and he just clings onto the martingale, it can end in disaster. 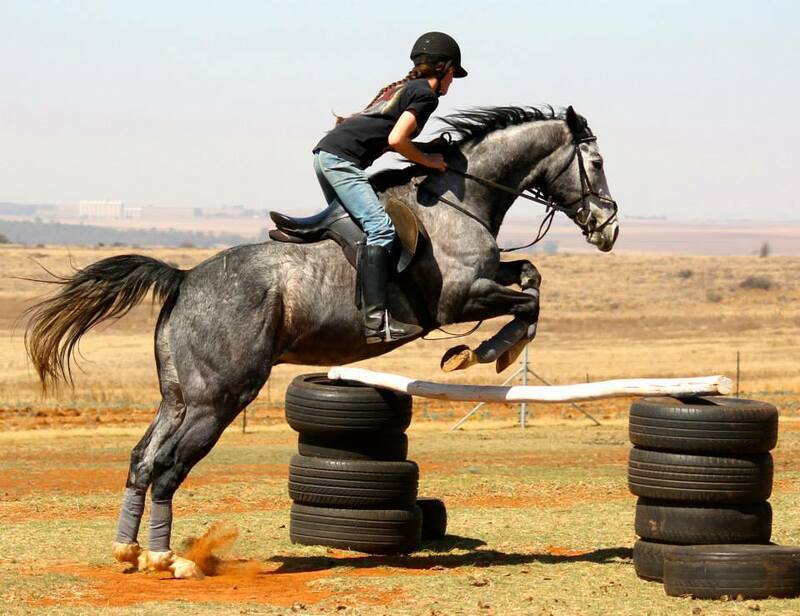 Alternative: Fit the horse out with the minimal tack necessary to make him safe and easy to ride, and teach the rider to balance without holding on with his hands. Should he need something to hang onto, such as when introducing canter work or jumping, let him hold the mane. It won’t do the horse any damage, and it leaves the rider at least some control over the reins. 3. The typical “bratty school pony”. Most riding schools have one; many are composed entirely out of whole groups of these uncooperative equines. To my mind, the beginning rider should learn to ride on a true schoolmaster. Learning to ride is hard enough without the horse making it any harder; and dare I even suggest that the typical schoolie should be responsive enough to comply to even the timid little aids of a beginner? Instead, most schoolies are notorious for second-rate conformation, bad schooling and worse manners. Many are a collection of bad habits, from bolting to napping to leaning on the reins. No horse is perfect and even the finest old schoolmaster is going to have issues, but schoolies should be well-trained. Alternative: Have fewer schoolies with better training. They may well work harder, but with the right feeding and management, they’ll be fine. 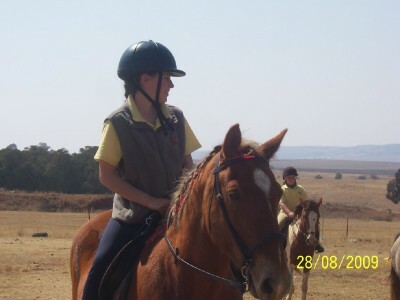 Riding school horses should have regular training sessions with an experienced rider/trainer – if possible the instructor. 4. Equipping all riders, on all horses, with riding crops. This is much the same as the martingale scenario. I have no problem with whips; I never ride Arwen without one, because she needs it. I even gave my students a whip when they rode her. Some horses just need it, especially with really tiny tots who can’t squeeze the horse’s sides properly because their legs aren’t long or strong enough. 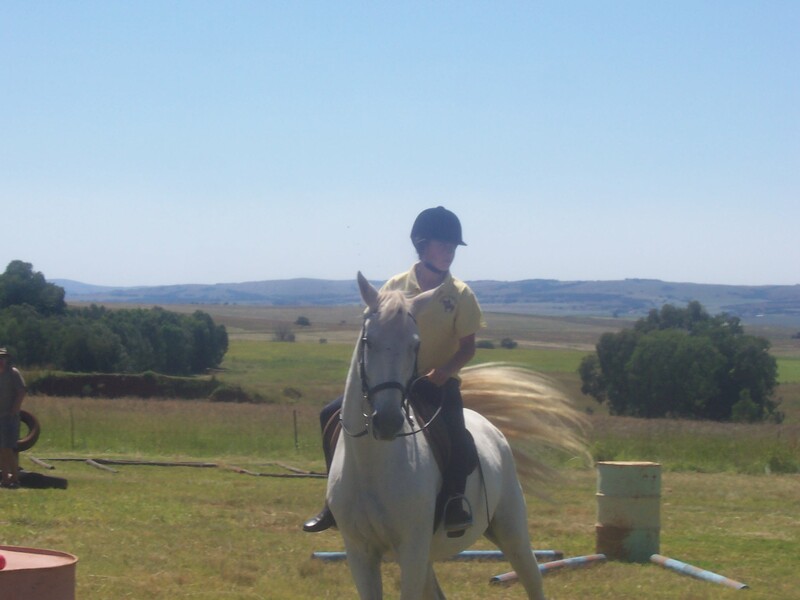 However, whips should not be a permanent feature for every single horse and rider. Legs are there for a reason; if the horse is properly trained and the rider knows what to do, there is absolutely no need for a whip. Alternative: Have schoolies properly trained and teach riders to use their legs. Also try to put small kids on small ponies if possible. 5. The great hypocrite instructor. We’ve all met some of them. They are very quick to assess and criticize riding, and generally very vocal in lessons; also, they would rather be seen dead than seen without their jodhs and boots. However, you hardly ever see them actually riding – and in actual fact, they don’t ride very well. A good instructor should be someone that prompts young riders to whisper, “One day I want to ride just like him.” Alternative: If you can’t do it, much less understand it, don’t teach it. Learn to do it, understand it, and then teach it, and teach it with all your heart. Teaching someone is a mighty privilege. Seize it with both hands and don’t let it go. Riding schools are the foundation of our sport. 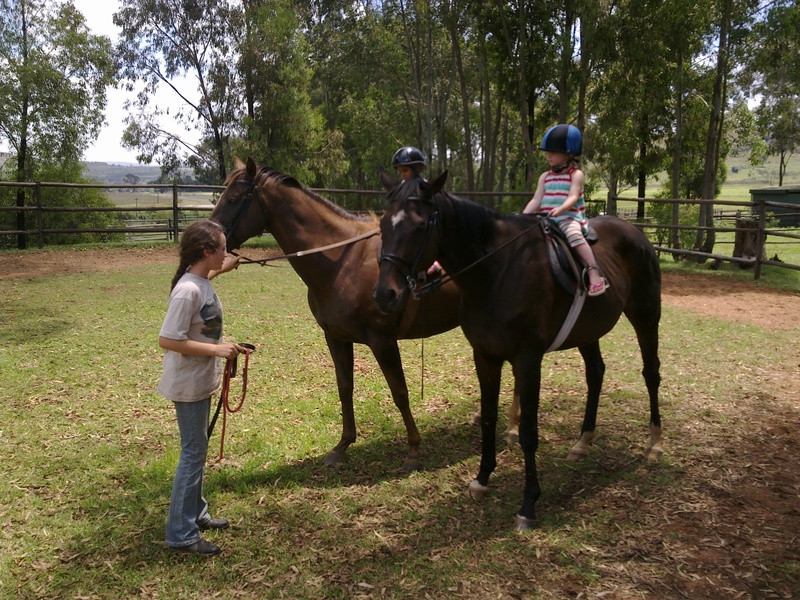 This is where people come to learn about the wonder that is horse riding, and a good school – or shall I say, a good teacher – can teach more than just riding. They can teach life lessons, touch hearts, inspire souls and raise hopes. We as experience horsepeople owe it to the elementary and aspiring riders out there to teach them well. They are the future of horseback riding, and without them, it would all die out. Do you agree? Disagree? What are your pet peeves about riding schools? What have you seen riding schools do well? Excellent post! All competition horses should have the option of a second life as school masters when their days in the show ring are done. Once a student learns what it should feel like, there is no going back. Starting a young horse and learning what it takes to produce a schoolmaster should be an option for serious students. There often seems to be some reluctance on the part of professional trainers to open up the schooling process. Perhaps they are afraid that they will put themselves out of business. What really happens is that people have the opportunity to gain an appreciation of what it really takes to school a horse. Not every one has the time and dedication to school, but every one that rides should appreciate those that do start young horses right. Exactly! Serious students with the right amount of experience should certainly learn to train youngsters – that is the most rewarding part of riding. I was blessed to have a trainer who never seems to mind teaching anyone anything, provided you try hard enough to learn. Hahaha! You’d definitely be better off with my teacher, lyn! So, I have been riding for close to 12 years now, never ridden competitively, but have been entrusted to teach 15 kids every week… I know personally that I can look at someone and imitate them and teach them and my kids go on to win first place ribbons at our state shows… I dont think that makes me a hypocrite that just makes me a very skilled teacher, which is what I do. I agree with pretty much everything in the article except that little bit! Hey Kylie, thanks for the feedback! Pleased to hear of your kids’ successes. Sounds like you’ve been able to figure out the competing world and get your kids on track nonetheless – a rare quality.